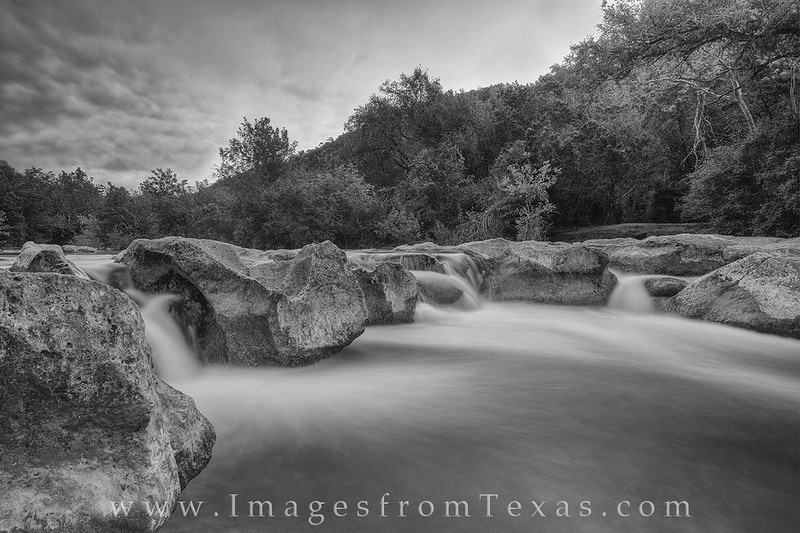 This black and white photograph comes from Austin, Texas, and the popular Barton Creek greenbelt. Taken about 20 minutes before sunrise, the photo shows cool waters flow over Sculpture Falls on a perfect September morning. Photo © copyright by Rob Greebon.